Did you hear? We’ve finally broken ground on our much needed NEW BUILDING! Read all about it here! We need your help now more than ever! 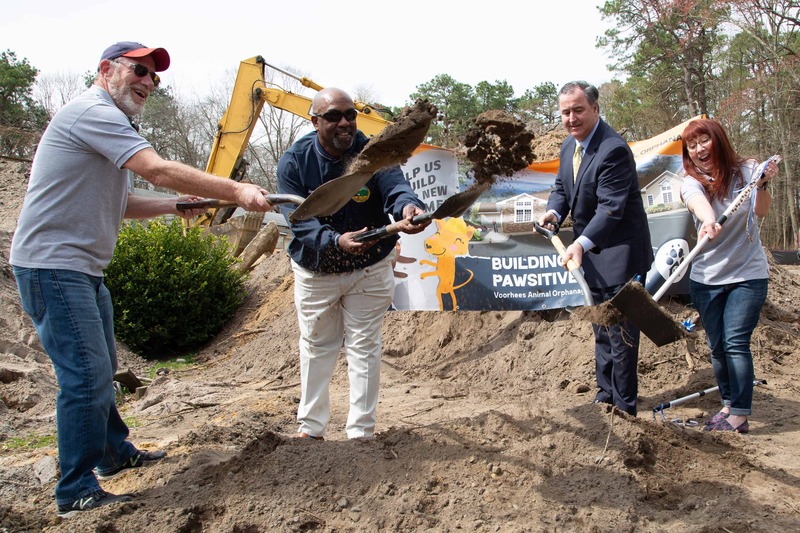 Please consider making a donation to our “Building For A Pawsitive Future” Capital Campaign today. Donations are the financial foundation of Voorhees Animal Orphanage. Contributions from supporters help to offset the cost of running the shelter, and provide for the health and comfort of the animals. Learn about and support the VAO Medical Fund here! We use PayPal for donations, though you do not need a PayPal account to give. Simply click on the “Donate” button to make your donation. Once you are in the donation screen, you can click on the “Write A Note” button under the amount if you wish to leave a comment designating your gift for the new Building Fund, as “in memory of,” or another appropriate dedication. To make a recurring donation, find the monthly amount that works best for you in the drop down menu provided below, and click on the “Subscribe” button to complete. Recurring donations can be canceled at anytime, but go a long way in establishing relaiable income that can be used to support regular expenses like food, vaccinations and additional medical care for our animals. We are happy to accommodate a credit card by phone, and we can even schedule you for a recurring gift this way. Call us at (856) 627-9111 with any questions or to make a donation today. Please make checks payable to Voorhees Animal Orphanage and mail to us at 419 Cooper Road, Voorhees, NJ 08043. Voorhees Animal Orphanage is a 501(c)(3) charitable organization, Federal Tax ID: 22-2914004. All donations are tax deductible to the fullest extent of the law.